Forest area in Europe currently amounts to 215 million ha and accounts for 33% of the total land area. The degree of forest cover varies among countries in Europe. While the most extensive forest cover (53%) is found in Northern Europe, South-East Europe is the least forested region in Europe (23%) (State of Europe’s Forests, 2015). France is the fourth country after Sweden (28.1 Mha), Finland (22.2 Mha) and Spain (18.4 Mha) in terms of forest area. Indeed, the French forest area reaches 16.9 millions of hectares (covering 31% of the territory). Since the second half of the XIXth century, growth has been constant. In 1830, the wooded area in France was assessed between 8.9 and 9.5 million of hectares (Cinotti, 1996). 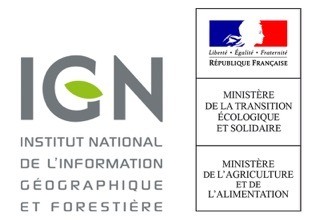 Since 1980, the annual expansion recorded by the NFI is up to 90 000 hectares. and the poursuit of the mountain reafforestation. Since the past 10 years, this growth has been going on.